Rounding out Sony’s compact near ir product line is the model XC-EI50CE. 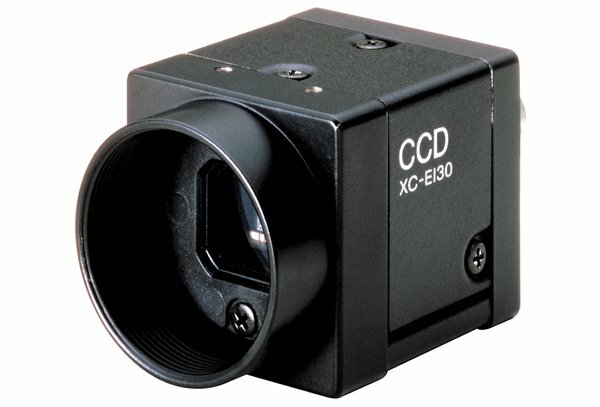 Virtually identical to the model XC-EI30, the EI50 version has a 1/2-inch format CCD sensor. The EI50CE sports the same compact light weight (50 gram) design which allows it to endure high-g vibration environments. It is a very popular choice for dynamic applications such mounting to a robotic arm. The XC-EI50CE was designed with very flexible external trigger configurations, and microswitches on the camera back panel provide allow shutter speed and gain to be selected manually if an external pulse control is not used.